If you’ve ever bought a used car you’ve likely found yourself trying to talk the dealer into giving you a better price. The whole idea of negotiating kind of goes hand-in-hand with buying a used automobile – although the dealer typically has the upper hand in knowing a vehicle’s rock bottom price. However, one used car dealer, who goes by Dennis Miller, is looking to give consumers a better hand in the often tricky game of buying a used car, as first reported by Fox News. Miller and a few colleagues (likely to the dismay of a lot of other car dealers) have launched a new app called SnafuScan that provides prospective buyers with the cost of vehicles purchased at special-dealer auctions, which is where most dealers buy their used car inventory. Miller said the prices paid for used cars at the dealer auctions, which are closed to the general public, can be $5,000-$10,000 less than a vehicle’s sticker price on the lot, which presents a lot of wiggle room for negotiating. Miller tells Fox News that SnafuScan will be most beneficial to consumers if the vehicle has been on the lot for more than 30 days, when a dealer’s profit margin starts narrowing and they’re more likely to deal. Developed with computer software companies in Russia and the Ukraine, Miller said the costs provided by SanfuScan are calculated from the last five years of transaction data from used car auctions. He says the cost listed with the app is typically, “within a few hundred dollars over, or under” the price paid by a dealer at an auction. 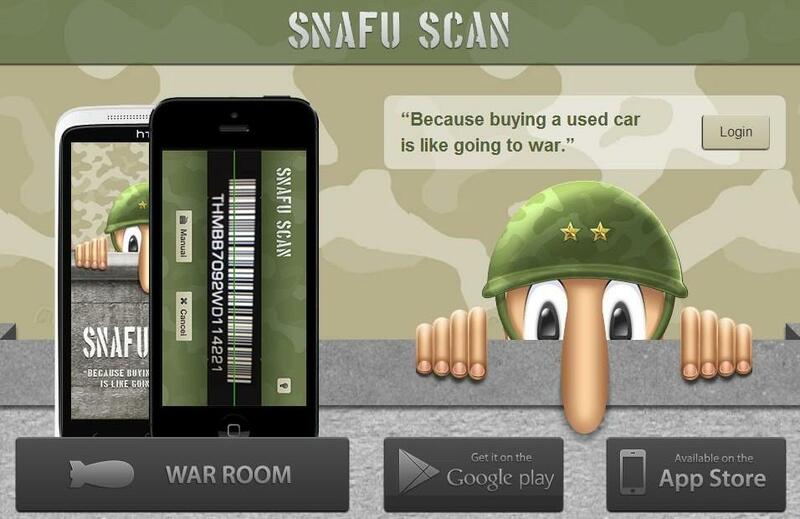 The SnafuScan app cost $9.99 for a 30-day subscription. However, the company also offers a free version of the app that allows users to get all the details on safety recalls for a particular car by checking the VIN number.